As a student, you’re probably in the young driver or undergraduate age bracket. Unfortunately, insurance companies tend to see young drivers as a higher risk, which means getting cheap car insurance isn't always easy. The location of the university you attend can influence the cost of your insurance too. As crime and insurance claim rates are often higher in the cities and areas students live, the cost of insurance may be higher than more rural areas. The table below shows the average comprehensive policy price for a selection of the top universities in the UK. We've only included one central London university from the original list*. It's worth noting that the prices shown below are an average across all age ranges, and not just students. 1 Universities have been taken from the 2019 UniRank league table. We've excluded three London universities as all would show the same car insurance premium. How can I get a better deal on student car insurance? Being a student with a car has its benefits. But the added expense of car insurance can mean many students have to give up the luxury of their own car, because they can't afford to insure it. 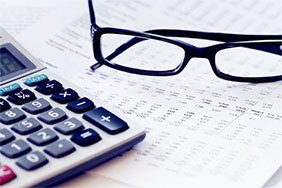 The good news is that there are ways you can reduce your insurance costs. It’s an obvious one for us to say but by comparing different prices instead of letting your policy renew automatically, you could save up to £1,064* on your insurance. Whatever your financial status, that’s a decent chunk of money in your pocket. Choosing the right car can have an impact on your insurance premiums. Typically, the smaller the car, the cheaper it is to insure. If you haven’t already bought a car, then take a look at our list of the top 10 cheapest cars to insure. A black-box or telematics policy will base your premium on your driving habits – safer drivers often benefit from reduced prices. To give you an idea of the potential savings, we found that for 17-year-old drivers, a telematics policy could be up to £1,458 cheaper vs a standard policy**. Adding an older, more experienced driver to your policy can help reduce prices. However, you should never have the more experienced driver listed as the main policy holder and yourself as a named driver, that’s what’s known as fronting and can end up in your policy being invalid. For more detail, see our below section on things to avoid. Temporary car insurance can be a good option for students who only want to drive occasionally or when they return home from university during weekends or between terms. Temporary car insurance policies provide fully comprehensive cover, and are available from one to 28 days. If you’re interested in this option, you need to make sure you don’t fall foul of Continuous Insurance Enforcement (CIE) legislation. Introduced in 2011, CIE requires you to insure any car you own unless it’s officially declared to the DVLA as not in use with a Statutory Off Road Notice (SORN). If you fail to insure or SORN your car you risk a £100 penalty notice and at worst seizure and disposal of your car, a court prosecution and a maximum fine of £1,000. Try to accurately estimate how many miles you expect to do over the year. Over-estimating could increase your premium. **Average based on a telematics vs standard car insurance policy for a 17-year-old main driver. Confused.com data - December 2018. As mentioned previously, getting a more experienced driver to act as the main driver on a policy and just adding yourself as a named driver is a no-no. This is known as fronting and can result in your policy being invalidated and any potential claims not being paid out. The person who drives the car the most should be listed as the main driver and additional drivers should only be added if they drive the car occasionally. While paying monthly might help you avoid a big one-off expense, typically you’ll actually end up paying more than if you opted to pay for your insurance annually. Some insurers may not offer a monthly payment option, meaning if you’re set on paying monthly you may end up with fewer and more expensive options to choose from. If you opt to pay monthly, you should know that while some insurers spread the cost evenly over a 12-month period, others may make the first payment slightly more expensive than the rest. When you get a quote, we’ll automatically show you prices annually. But we do make it easy to see how much it would cost to pay monthly and how the 12 monthly payments are broken down. A big one to watch out for is the address you register the policy to. For example, you shouldn’t register your car to your home if in fact it’s actually kept at your university halls or outside your student house. Again this is could invalidate your policy, so even if you move part way through the year you should let your insurer know where your car is going to be kept. It might cost a little more to update the address but at least you’ll know you’re fully covered should you need to make a claim. You may even get lucky and get a partial refund on your policy if the insurer deems the new address a lower risk area. Should I take my car to uni? It really comes down to your personal circumstances. If you plan to get a part-time job, where you might need it to get to work, exploring the local area or need to get to lectures or placements, having a car can be very handy. On the flipside, having your car with you at uni is an added expense at a time when money can be tight. It also comes with the added responsibility of making sure it’s kept safe, secure and running well. Can I just use my parents' insurance? In case you missed it, this is a no-no if you’re actually the main driver as it’s classed as fronting. While it might seem like a good way of saving yourself a bit of money you risk invalidating the policy and ending up with no cover should you need to make a claim. Which address should I use when I get student car insurance? When getting a quote, you should use the address where your car is for the majority of the year. So if you’re a student living away from home, you should – for insurance purposes – use your student accommodation as the main address on your policy. Student areas are highly populated and often higher risk, so this may hike up the price. It’s worth noting that failure to state the correct address can lead to your policy being invalid in the event of a claim. Why compare car insurance with Confused.com? We want to help drivers save money on their car insurance. Getting a quote is easy. 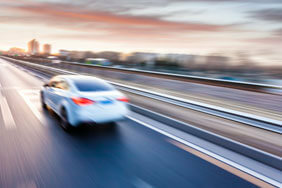 Simply fill in your details, and we’ll search a range of top UK insurers to find the best car insurance deals for you. We were the first insurance comparison site in the UK. We have over 15 years of expertise in car insurance comparison.